Relocating homes and offices across cities, states or even from one street to another could be a stressful job if you don’t have the right people by your side. The job of a Sydney removalists might seem trivial, but anyone who has moved home would agree that isn’t the case. A skilled removalist is one that offers you reliable and stress-free solutions to deliver your belongings safely, are you looking for peace of mind during your move? We are right here to help! 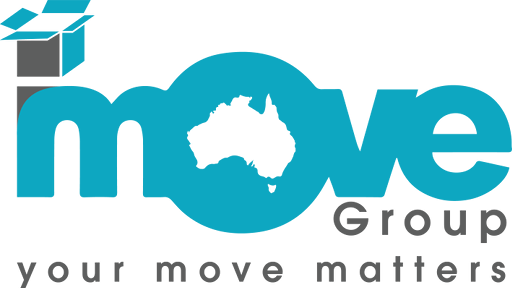 iMove Group is a locally owned and operated Sydney removalist company with many years of experience. Our friendly staffs are trained to deal with all your removal needs. We work together with you to deliver your belongings to your chosen destination without a dent or a scratch. 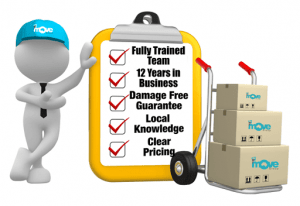 Having served hundreds of happy clients over these years, iMove Group can confidently say we are the right removalists for you. Whether you need local removalists or interstate removalists, we offer you reliable services combined with utmost care and safety. We bring to you years of experience. Our on the job expertise benefits you because we have seen and done it all. We understand that as removalists we don’t just transport your things, but we are often moving an entire home or office. Having spent years on the job for hundreds of clients, we apply our knowledge and experience to every project we undertake. Relocation is not an easy task. Moving home or office requires a lot of effort, which could be stressful for an individual. Packing and transporting goods by untrained hands could cause damage/loss of belongings and added expenses. With a reliable removalist like us, you can sit back relax, without worrying about the safe and easy transportation of your belongings. Our staffs are the team of dedicated, caring and friendly professionals. With high attention to detail, they will talk you through every aspect of the moving process and look after your every need. From planning the move to settling into your new home, their expertise will put your mind at ease and have you prepared for a smooth move. We have the right people and equipment to deliver your goods safe and secure to the chosen location. For offering the best services, we leave nothing to chance. We have an extensively trained team for packing, unpacking and decluttering. As well as an experienced team to meet all your removal necessities. We know you have unique needs and we guarantee an ideal moving strategy to suit them. We strive to maintain high quality in all our services. Even though we provide the best quality services including insurance, every pack and move is carefully assessed and quoted based on each individual’s desires. All quotes are tailor-made, offering affordable and transparent rates. There are no blanket costs or hidden charges when you deal with us. For more information or any queries, call us on 1300 046 683. We are always happy to help. Contact us today for your free quote.